Latitude : 27-280 C north. Longitude : 88-890 C East. Clothing : Summer -light woollens winter- heavy woollens. Language : Hindi, English, Nepali, Tibetan, Sikkimese. Gangtok: Sikkim capital and commercial heart, is less than a two hours' drive away, with Rumtek Monastery, Dodrul Choten, and the lovely flowered pedestrian walkway, Mahatma Gandhi Marg. 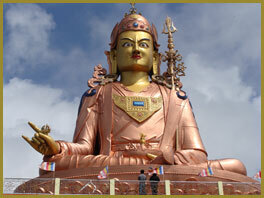 Samduptse: The largest statue of Guru Padmasambhava in the world, is 25 minutes drive away plus a one hour walk on a wide trail through forests teeming with birds. It can also be reached by car; both routes end in wide views to the Indian plains. 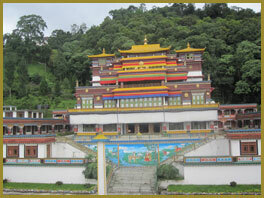 West Sikkim: Premier Pemayantgse Monastery, Pelling and the trekking trailhead to Mt. Kanchendzonga at Yuksam lie just 3 hours' drive away. Ravangla: Ravangla or Ravongla is a small tourist town situated at an elevation of 7000 ft in South Sikkim district of the Indian state of Sikkim. 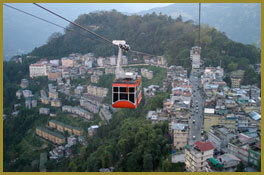 It is connected by state highway to other major towns in the state and lies between Pelling and Gangtok.Mt. Kanchenjunga, Mt. Pandim, Mt. Sinialchu, Mt. 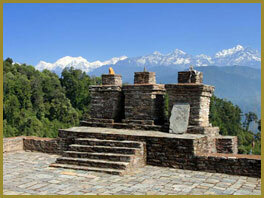 Kabru are just a few of the major peaks that are clearly visible from Ravangla. Upper parts of Ravangla experiences snowfall during winter. During the months of April-May the place is surrounded by many flowers including orchids and rhododendrons. Tendong Trek: Tendong Hill : It is the most popular destinations of Hiker at an altitude of 8500ft it is situated on a small plateau on top of the mountain perhaps no other place in Sikkim offers a better view on the mountains ranges in the state then Tendong. It is like sitting in the centre of a huge amphitheatre. On the east one can se the full Chala Range on the west the Singalila range and the towering Kanchendzonga.In the north east can be seen Gurudongmar Peak with other mountains Darjeeling, Gayzing, Nathula, a part of Gangtok and the rolling plains of Siliguri can be seen from here. 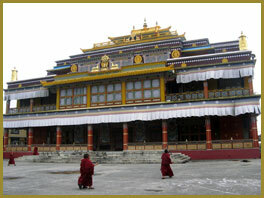 Darjeeling: With its UNESCO world Heritage toy train, Himalayan Mountaineering Institute and Zoo, is a 3.5 hour drive.